Recently, I had the pleasure of speaking to a group of parents at the monthly informational seminar which is hosted by the Broward Chapter of the Autism Society of America. I learn a great deal by preparing such lectures, and so I would like to share that information with our blogosphere. 1. Leo Kanner was a pretty good doctor. 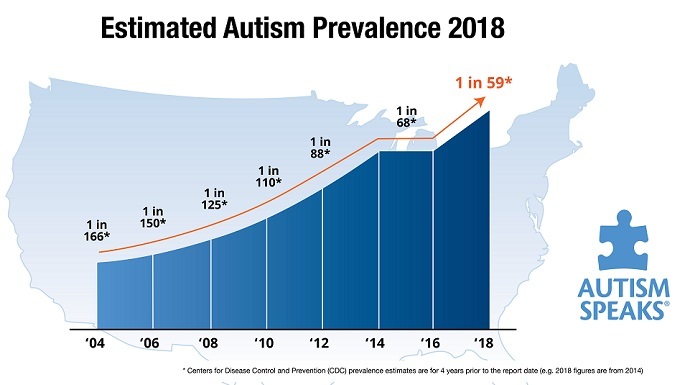 I used to think that, as the originator of the “Refrigerator Mom” theory of autism, he impeded the science of this disorder. I was struck by the assignment of autism as a psychiatric, rather than a pediatric medical diagnosis. Geez, Dr. Kanner had even documented G-I symptoms in eight of the eleven original children. If he were a gastroenterologist, would ASD have been called an intestinal virus? But, after reading more literature – by and about Dr. Kanner – I have changed my mind. First, he was the inventor of child psychiatry, as it is known today. In his time, psychiatrists worked at insane asylums. He literally wrote the book on childhood disorders. In his original paper about autism, almost all of the parents were noted to be well-educated and appeared somewhat detached, and were described as “refrigerator parents”. The term ‘refrigerator mothers’ was popularized by an art-historian-turned-doctor named Bruno Bettelheim. Dr. Kanner may have described one of the earliest signs of infantile autism: “active anticipatory reaction to being picked up…” This observation – that an infant should show a “…sign of preparedness” and adjust their body to being held – is rarely questioned, observed or documented in the modern pediatric examination. In the face of this modern epidemic, maybe the AAP should assist pediatricians by disseminating such information, rather than selling Intuniv? 2. The role of the environment. The ratio of 3 females to 8 males in the original series of children is similar to today’s literature. Five of those original eleven patients had significant exposure to harmful chemicals through their parents’ professions. Ethyl mercury played a role in three of those families. 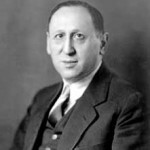 So, although he did not appear to have made a correct assumption about why his patients had autism, Leo Kanner was the first modern professional to try to improve the condition. Look, this is all important because, in order to better address a disorder, scientists need to completely understand the research. The history of Dr. Leo Kanner and ASD is the History of Autism. In short, I wish that I could discuss my professional work with Dr. Kanner today. He would have helped us. 3. Next up; in this corner, representing the old guard, Dr. Bruno Bettelheim versus, on the environmental side, Dr. Bernard Rimland. This entry was posted on Saturday, October 29th, 2011 at 7:46 am	and is filed under >ALL<, Alternative and Complementary Medicine for ASD, Asperger's Syndrome, Diets, Earliest Red Flags, Gastrointestinal Issue, Patient experiences, Reversing autism, Speech and Language, Vaccines. You can follow any responses to this entry through the RSS 2.0 feed. You can leave a response, or trackback from your own site.